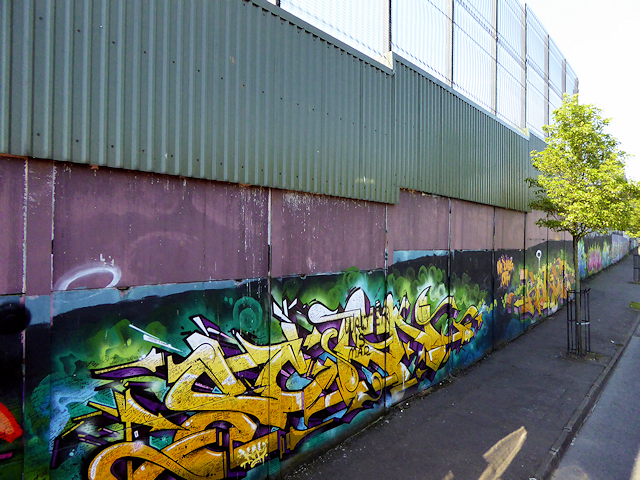 along the Peace Wall dividing Falls and Shankill. Turn RIGHT on Ballygomartin, for a little over 1 km, to Woodvale Park. Run through this nice green space onto Shankill, which you’ll take for ~2 km. 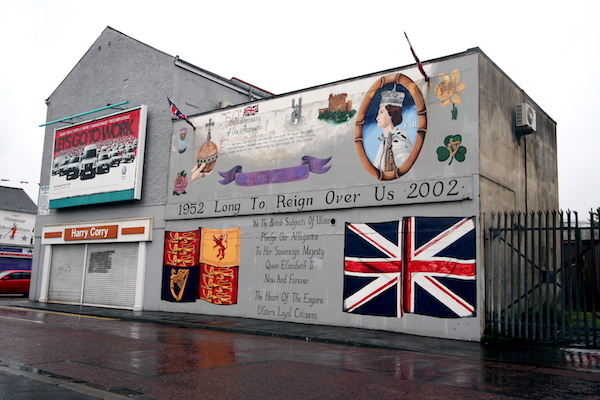 Shankill turns into Peters Hill, crossing the A12 and Millfield, where you’ll turn RIGHT on Royal near St. Anne’s Square, back to the start. 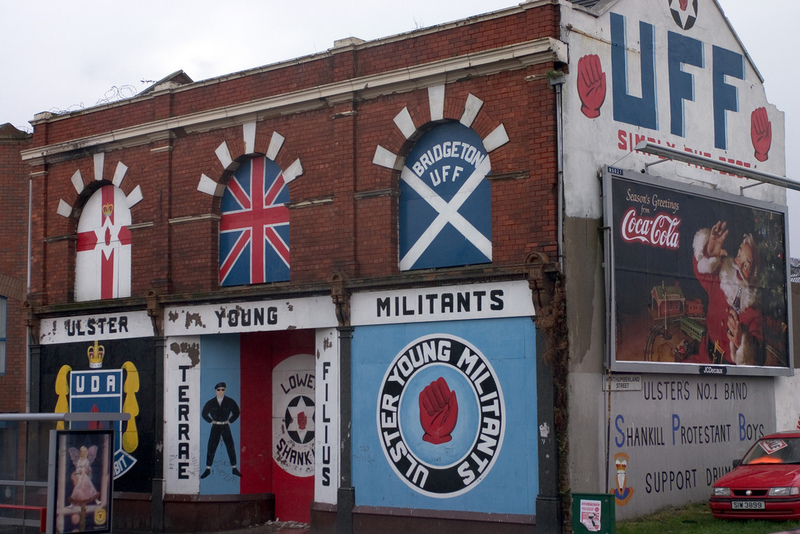 This road through working class Belfast was the scene of many violent incidents during the time of conflict. More Scenic Option: A prettier section once off Falls Rd. is to continue PAST the A55 on White Rock, then onto Ballygomartin, where the road is narrower and quite pretty, with nice views of the Belfast Hills. Adds about 1 km.